The quest for reparations for historic atrocities committed during the transatlantic slave trade is running into increasingly determined resistance from the UK government. Members of Caricom, the Caribbean’s political and economic body, are meeting on the island of St Vincent on 10 March to co-ordinate their campaign for compensation payments against former slave-owning nations in Europe. The claim is being organised by the London law firm Leigh Day and channelled initially through the UN convention on the elimination of racial discrimination (Cerd) which, Caribbean leaders believe, can be used as a forum for negotiation. Failure to reach agreement, however, will result in it being transferred to the international court of justice in The Hague. The UK accepts the jurisdiction of the court, but only in cases relating to disputes arising since 1974 and those that do not involve Commonwealth or former Commonwealth countries. These restrictions, the Foreign Office believes, prevent claims dating back to the 17th century from Commonwealth countries making progress through the court. The transatlantic war of words, however, is intensifying. Martyn Day, the lawyer leading Caricom’s claim, maintains that the 1974 limit does not apply since “the current consequences” of race discrimination, resulting from slave trade in the past, still exist today. Nor, he claims, does the UK’s reservation about Commonwealth countries have “any bearing on the dispute mechanism under the Cerd convention”. The newly formed Caricom reparations commission has called upon the “former slave-owning nations of Europe – principally Britain, France, Spain, Portugal, the Netherlands, Norway, Sweden and Denmark – to engage Caribbean governments in reparatory dialogue to address the living legacies of these crimes”. West Indian states have been encouraged by a statement from Sweden’s ambassador to the Caribbean, who said his country would “look at the claim when we receive it” and promised “to have respect for the process”. The Caricom reparations commission has identified a number of broad areas where “reparatory diplomacy and action” is needed. In public health, it said, “the African-descended population has the highest incidence in the world of chronic diseases in the form of hypertension and type 2 diabetes that are the direct result of their nutritional exposure, endemic inhumane physical and emotional brutalisation and other aspects of the stress experience of slavery and post-slavery apartheid”. Slavery left Caribbean states with poor levels of literacy and education, the commission argues. There are no museums recording the cultural experiences and African traditions of those forced into slavery. The psychological trauma of slavery lingers on, the commission says: “For over 400 years Africans were classified in law as non-human, chattel, property and real estate. They were denied recognition as members of the human family by laws and practices derived from the parliaments and policies of Europe. Responding to Caricom’s campaign, a Foreign Office spokesperson said: “We recognise that Caribbean heads of government committed to follow-up action on the issue of reparations for slavery at the Caricom meeting in July 2013. “However, neither Caricom, nor individual Caribbean governments, have made a formal approach to the UK government with regard to reparations in relation to the transatlantic slave trade. “No legal claim has been made against the UK government in relation to reparations for slavery. We do not see reparations as the answer. Instead, we should concentrate on identifying ways forward, with a focus on the shared global challenges that face our countries in the 21st century. 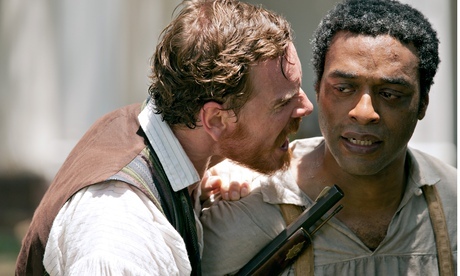 Original article posted at UK sternly resists paying reparations for slave trade atrocities and injustices | World news | theguardian.com.